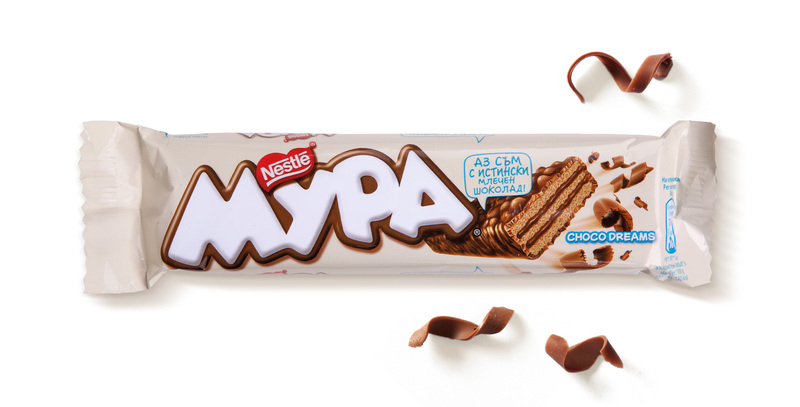 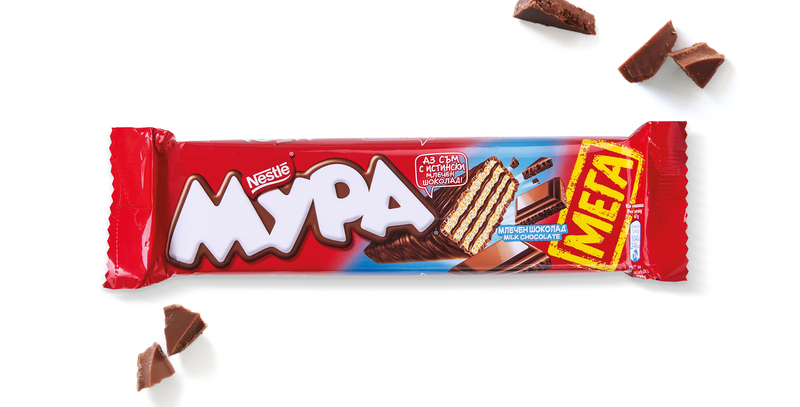 For Nestle’s delicious chocolate wafers Mypa, we have made refreshing packagings for the Bulgarian market, so as to blend it well with the general brand target. 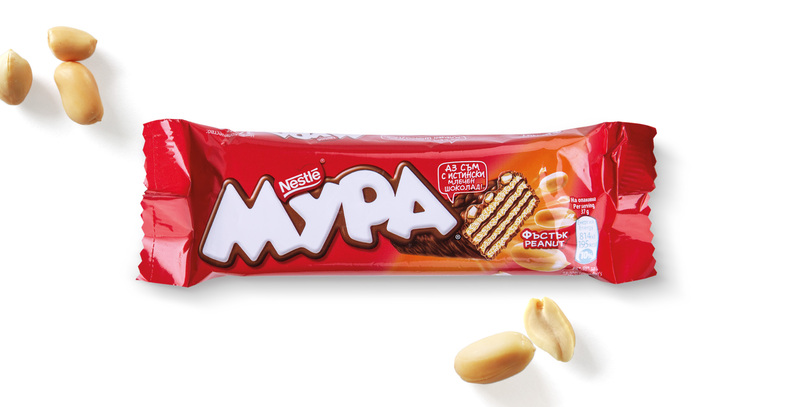 The product’s impactness we have reinforced by setting a white logotype against a red background. 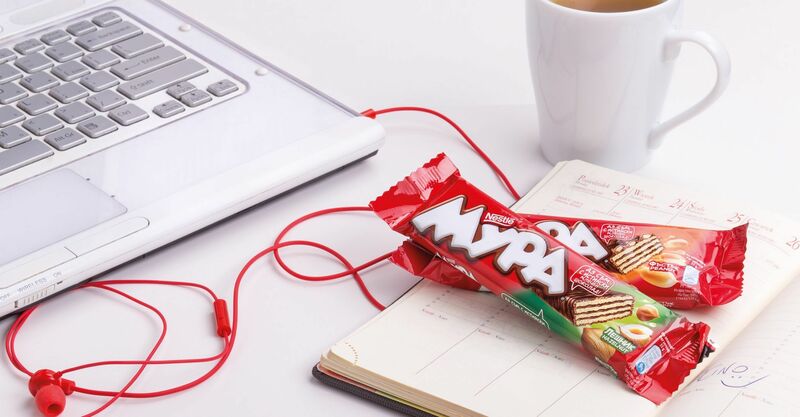 The letters we have finished off with a chocolate rant, to highlight the nature of the snack. 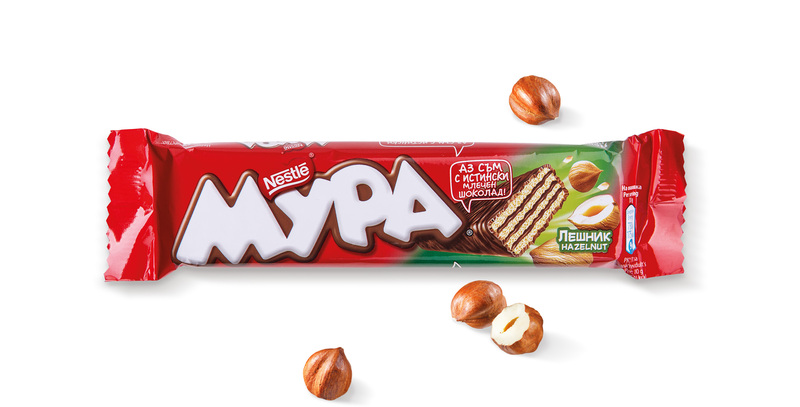 In order to encourage consumers to be guided by their senses and to have a go at the wafer, we have shown it in a suggestive, dynamic manner. 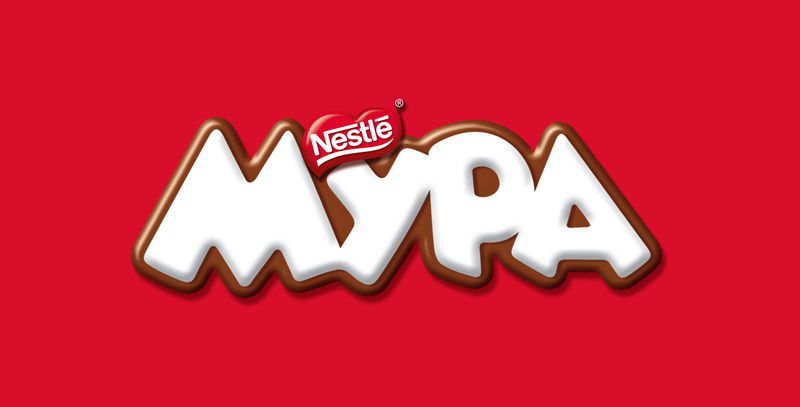 In specially designed bubbles, we have placed the information of high chocolate content.